When your bride wears a pair of converse on her wedding day and your groom outfits a T-rex costume for the first dance, it is obvious that this is a cool couple to hang around with. When I first met Helen and Kevin, they appear to be a traditional couple with boring day jobs. In terms of photography, their only request is to get a traditional posed shot for framing. What I did not realize is their fun and artistic side. The couple chose orange accented with blue as the theme colors. They learned and sew all the bow ties and pocket squares. 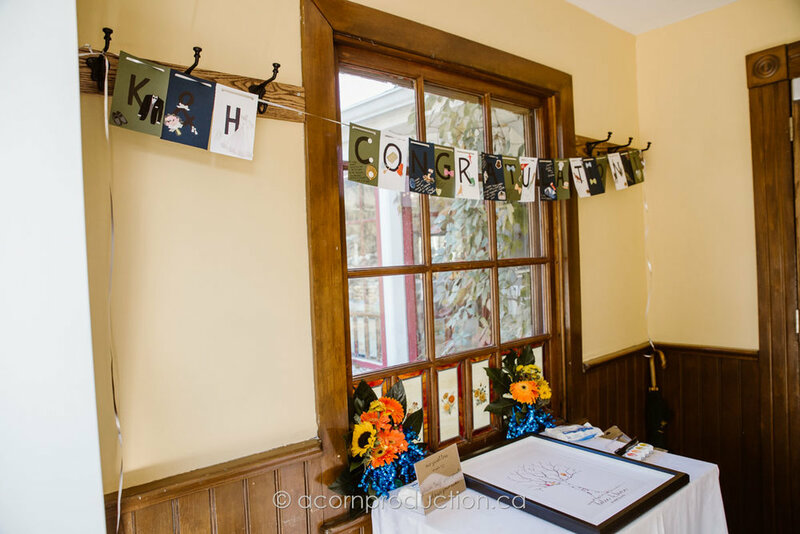 They decorated the reception with beautiful formal centre pieces, made by Kevin's mom. 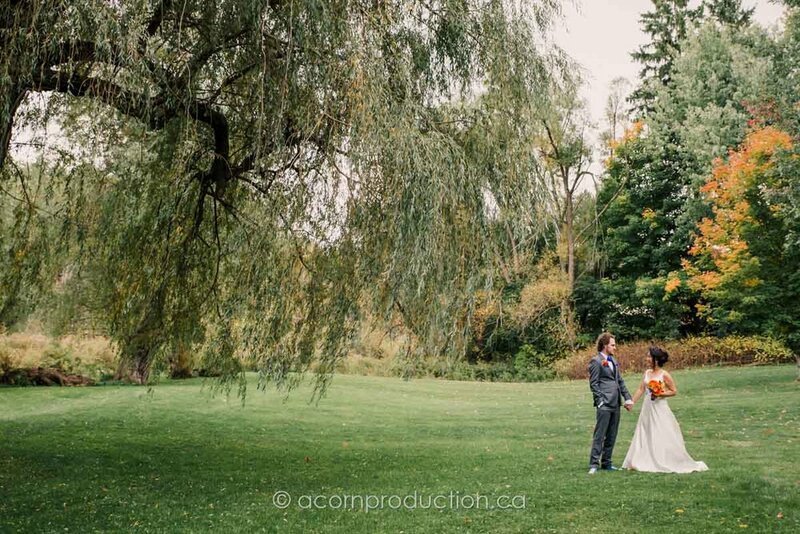 Helen and Kevin chose the scenic Terra Cotta Inn to host their wedding. 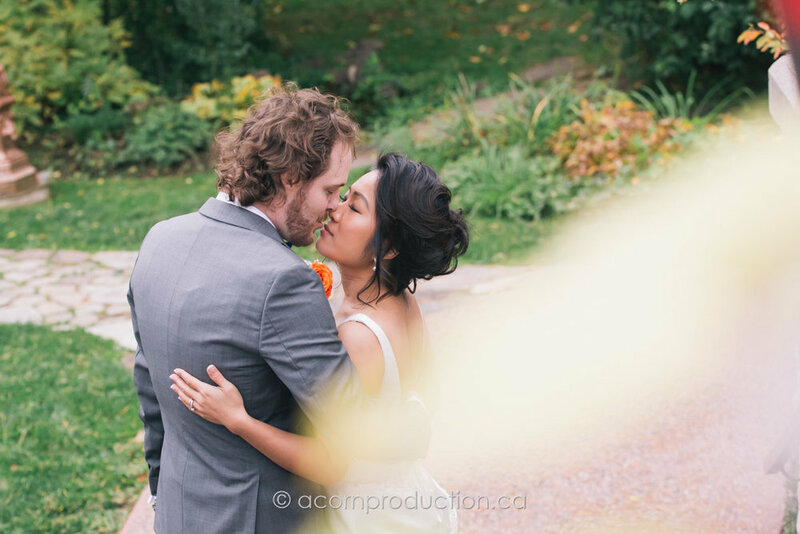 The couple enjoys hiking and they love the natural and rustic vibe of the venue. The day started with some getting ready shots. 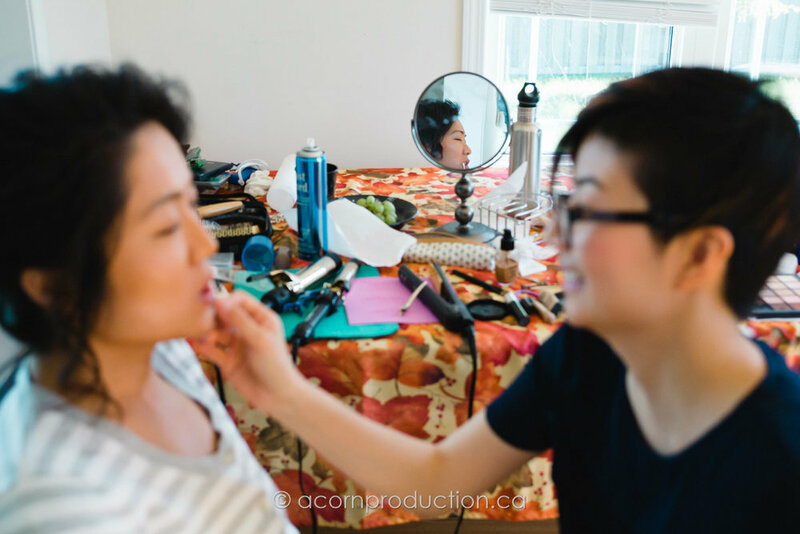 Everyone is busy putting makeups on, including Helen's parents. 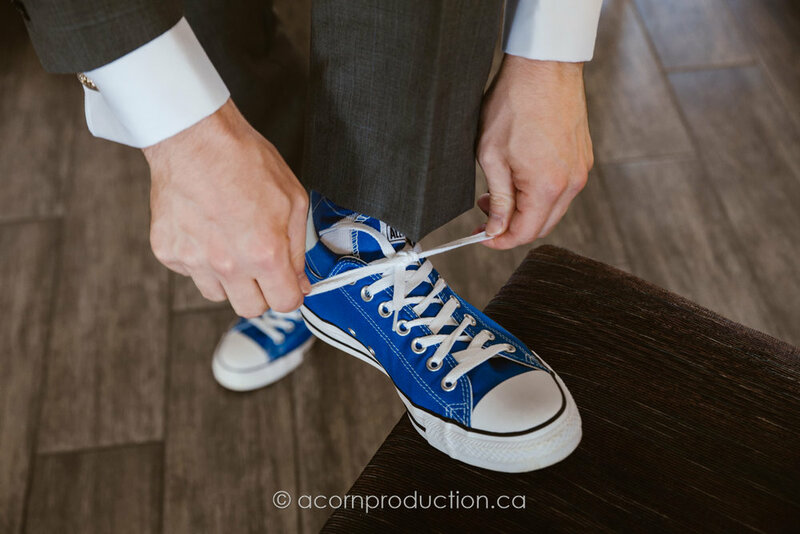 Helen chose a clean and simple wedding dress and a pair of blue converse. This set of cuff links carries special meaning to Kevin. It was passed onto him by his grandfather, who passed away when Kevin was young. The guests arrive for a Terra Cotta Inn wedding in a school bus. The outdoor ceremony was held on the stunning ground besides the Inn. Kevin was waiting anxiously for his bride. 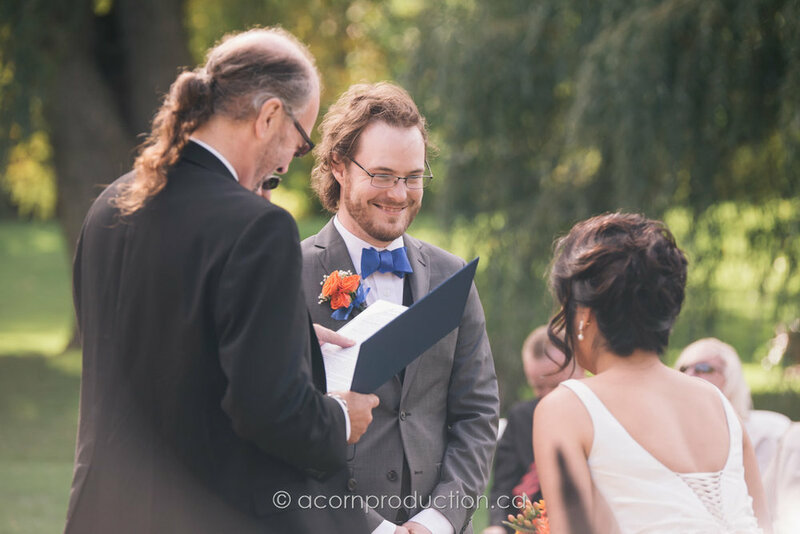 Even the wedding officiant is a blast to work with. 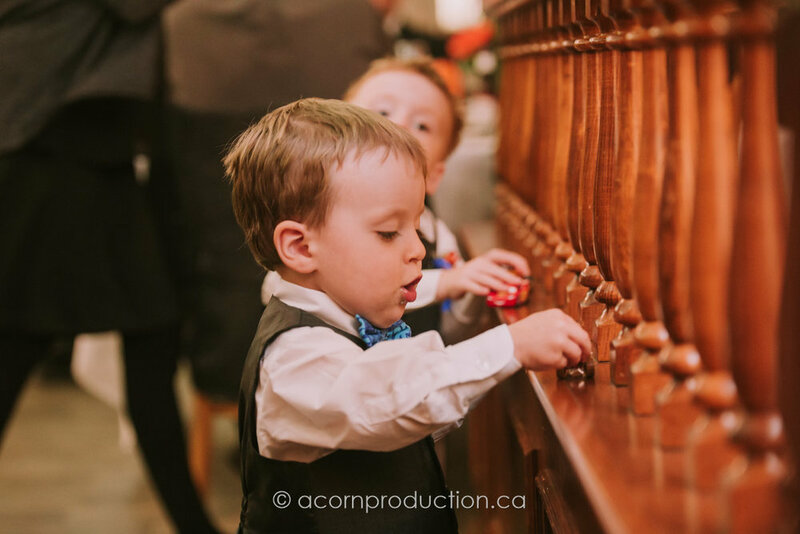 Before the wedding, he kept asking how he can make my job easier. The weather was chilly, but the couple found warmth in each other. 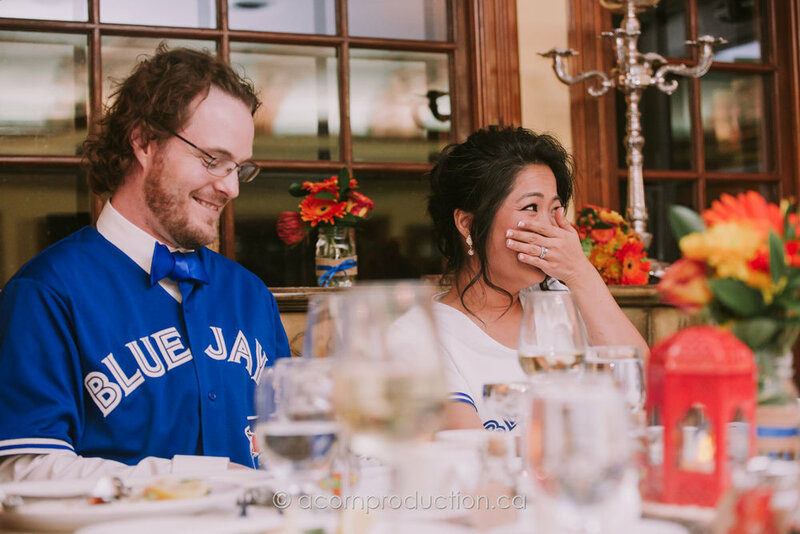 Helen and Kevin are die hard Blue Jays fans! 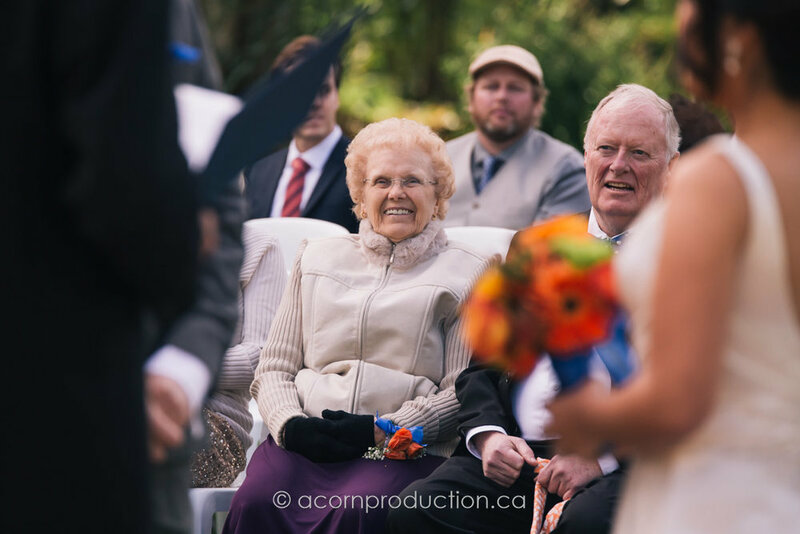 It was an intimate Terra Cotta Inn wedding. There were about a hundred guests. Every speech was emotional and moving. Helen's sister and her husband flew in for the wedding. They can not contain their happiness during the speech. The groom wore a T-rex costume for the first dance. Everyone was surprised, including the bride. Last but not least, a signature wedding ring shot. I chose an orange and yellow background for a fall theme.